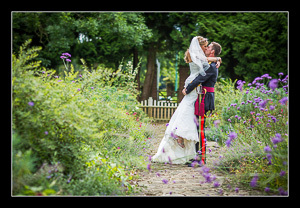 Hayne House is a lovely wedding venue set in a stunning private-estate based in Saltwood, near Hythe. It's an independent family-run venue with charming and attentive staff. 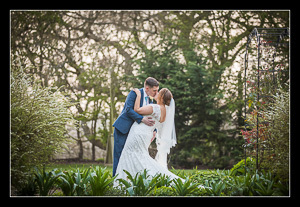 It features beautiful landscaped gardens, and now a romantic oak framed porch where ceremonies are held overlooking the gardens. And for those brides determined to tie the knot outside, the porch is fully weatherproof with see through sides and heating. 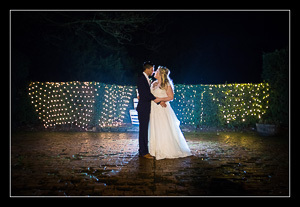 On the day couples get exclusive use of the main house, with its quirky function rooms, and the stylish marquee which holds up to 120 guests. 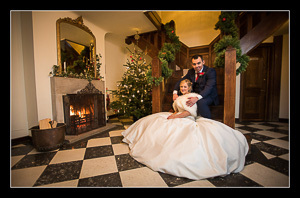 There's also a bridal suite available from the morning of the wedding. From April 2018 the marquee will be replaced by a new magnificent and airy Orangery. 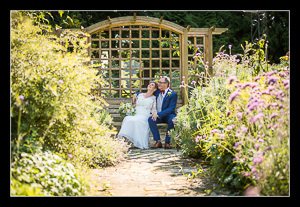 Rowena and Vernon got married on a scorchingly hot day in July. I joined Rowena for her final bridal preparation shots in the bridal suite and then took photos of Vernon and his best man. 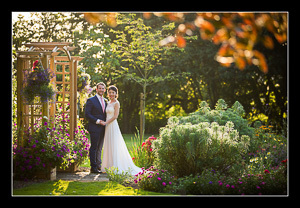 The ceremony was conducted in the garden and this was followed by a drinks reception. 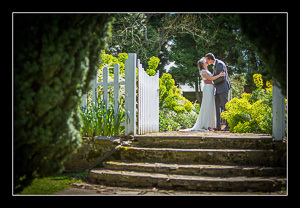 After a few group shots I whisked the couple off for a quick bride and groom portrait session in the grounds. They then retired with their guests to the marquee for a sumptuous picnic-style wedding breakfast. After the speeches they returned to the gardens to enjoy the warm evening and then staged a bouquet toss followed by the cake cut and first dance. 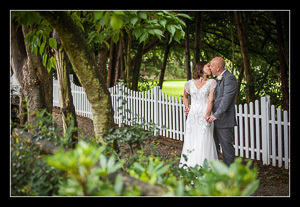 If you're planning on getting married at the Hayne House wedding venue then please do contact me for a quote. It's a pleasure to work there as a wedding photographer.